Noodler's Park Red | Inkdependence! This is one that I saw around, and I knew that I had to have some. It's a bright red ink that is not at all like dried blood. Lots of the reds out there seem to be in that vein, and it's what was hot last year, but that's not always what I'm in to. In fact, when I want to grade a paper or write margin notes I often want a true red ink. My mother really likes Kaweco Red, but that's a pretty expensive ink, so I'm always looking for alternatives. Yeah. Sometimes I'm a little cheap. This ink's wrapper has a political bent, as many of Nathan's do. This one is named for Park Sang-hak, a North Korean defector who pushes for democratic reforms in that country. Check out Nathan's YouTube video for the whole story. It's a fun label in which a dictator shoots some kind of pom-pom gun (which fires fountain pens) at balloons. There's a little shading on this Rhodia paper, but you aren't likely to see it elsewhere. 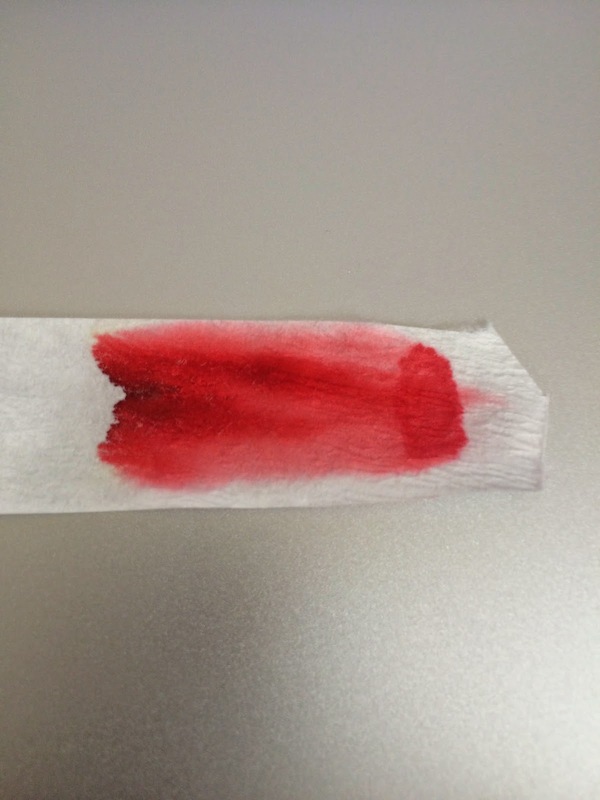 I didn't see this ink feather or bleed so much when I was using it, but the results are what they are. It does some bleeding and whatnot on copy paper. Not a lot, but some. Nikita is the ink that looks closest to this one, to me, but Park is much better. It doesn't bleed nearly as much as Nikita, and it dries in a reasonable amount of time. Nikita looks cool, but it takes an AGE to dry. 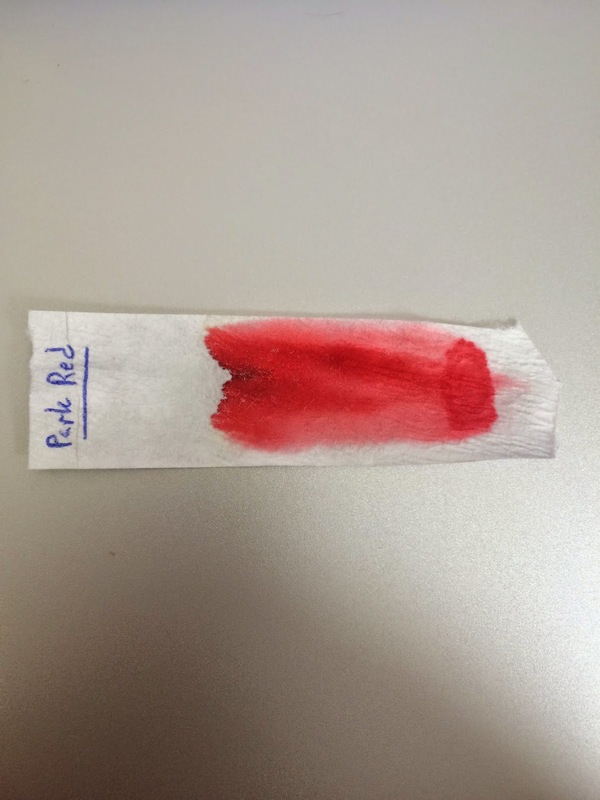 This is a pretty excellent (though not flawless) red ink. Its propensity to bleed a little is its only real flaw. I think it's worth a look, anyway. Find it at your favorite Noodler's vendor. I suggest AndersonPens where 3oz bottles are $12.50 (the standard for Noodler's) and samples are $1.25 for 3ml. I'm not an employee, and I don't get a kick-back, but they're a family business that I really like to support when I can. A side-trip to the pen store today.